No dress can easily accomplish what the wrap dress has. 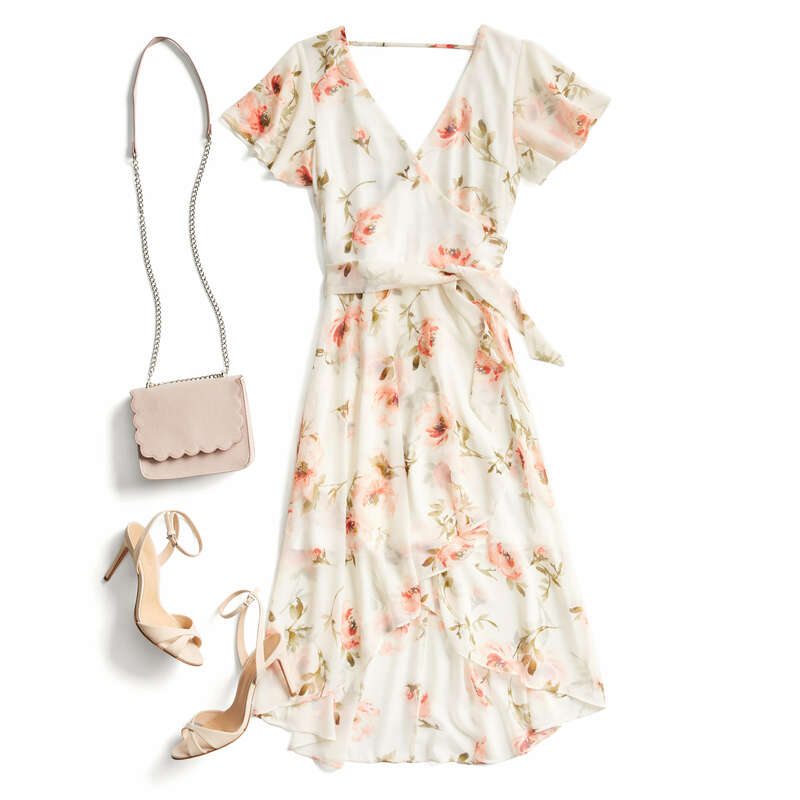 Created by famed fashion designer Diane Von Furstenburg in the 70s, the classic wrap dress features a tie waist, V-neckline and an A-line skirt. So why are these dresses so popular and toot their horn of being the most figure-flattering option. Here are 3 reasons why wrap dresses so darn figure-flattering! With a tie waist that cinches on the slimmest portion of torso, the wrap dress gives an ultra-slimming effect. Paired with a v-neckline, the dress enhances your bust and slims over the hips, a great option for those with a pear shape or those looking to add curves. If you have a shorter torso, opt for a plunging neckline for a lengthening effect. The wrap dress knows no numbers! The endless amount of options when choosing this dress makes the style timeless and appropriate for any age. If you prefer a little more coverage, try one a longer sleeve length with a knee-length hemline. For the adventurous, a sleeveless style with a deep V-neck is perfect for feeling sassy on date night. This style can be styled for a smart office look to wedding chic (and everything in between!). Fabrics like silk and cotton blends should be your go-to when dressing up. Worn with classic heels and feminine jewelry, you’re sure to be the best dressed. Try a jersey or knit fabric wrap dress with sandals and denim jacket when heading out for the weekend. Flattering for all figures, perfect for multiple occasions, and styled at any age, it’s easy to see why it’s been a wardrobe staple since the 70’s! What do you think of the wrap dress? Tell us in the comments!